3D modeling allows you to create 3-dimensional objects on a computer. Thus, it is possible to realize complex objects, environments, characters, buildings, landscapes, etc. from simple shapes such as spheres, polygons, cones or curves that define structures. Everything is possible. To dress the objects, they are covered with textures. Once done, even if you start having results, the work is not finished. Indeed, it is possible to apply characteristics to each element created to set it in motion, for example, or to assign reactions that will occur in a given situation. Sources of light can also be defined to virtually illuminate objects, make them more real and put them in situation. Thus, the 3D modeling makes it possible to put in situation of objects before proceeding to their manufacture. This is called CAD, computer-aided design. But of course, it’s not the only application of 3D modeling. Indeed, it also serves as a basis for the production of multimedia or audiovisual content. How to do 3D modeling? 3D modeling requires specialized software. 3D modeling is a complex area that requires specific training. It is true that today there are tools allowing everyone to do a little 3D, but of course these are limited. The principle is the same as in photo editing: fans will find Paint enough to crop their images while professionals or those who need to make advanced editing will turn to Photoshop. Some brands, and especially brands working in furniture, also offer their customers to model their interior and to deposit furniture, wallpapers, etc. in order to have a preview before the purchase. But here, no skill is needed, just move objects, or even change their color. With regard to the true 3D modeling, one must know that this one requires rather advanced skills, especially since there are several methods to model in 3D: polygonal modeling, by surface subdivision, by curves, by geometry etc. Thus, to make advanced 3D modeling, it is necessary to equip a specialized software as proposed by Autodesk. But of course, that’s not enough. It is essential to have a high-performance computer that will be able to run this type of software and ensure rendering often very heavy. And it is on the choice of your graphics card that you will have to pay the greatest attention. Which sectors does 3D modeling apply to? Since 3D modeling is used to make objects in 3D, it is useful in many areas. It can thus be used in the automotive industry to create the design of new models. It can also be used in architecture to make plans and become more aware of indoor and outdoor spaces. The sciences also regularly use 3D modeling to present medical phenomena or to recreate the human body in a virtual way. This type of creation is also very useful in the field of education because it allows viewing in 3 dimensions of elements that are not visible to the naked eye. And when it comes to video games or animation movies, 3D modeling is essential to create characters and sets. Anyway, we must know that it is necessary to opt for software adapted to what we want to create. For example, for all things building, it is better to opt for a building software that offers very specific features such as simulations, structural analysis, etc. At WEB Mauritius, our 3D modelling team is here to help you design your 3D models in the most effective way. Do not hesitate to contact us for further information. This entry was posted in New Technologies and tagged 3d mauritius, 3d model, 3d modeling mauritius on October 31, 2017 by admin. SEO Mauritius: PASO, the future of SEO? What is PASO? This is the acronym for Personal Assistant Search Optimization or SEO for Personal Assistants. Would the SEO be migrating to PASO? We are witnessing a subtle, but persistent change in the world of the web. The phenomenon of voice search and personal assistants could greatly modify the field of SEO, but to what extent? Personal assistants are taking more and more place in everyday life. They were already ubiquitous thanks to their integration in the systems of the smart phones. One can think of Siri, widely popular for its, sometimes, surprising answers, but also Cortana, Google Now and more. Still, the personal assistants have taken a step further to settle in the houses with the arrival of Google Home and Alexa from Amazon. Moreover, the adoption of personal assistants has doubled in the United States between 2015 and 2016 according to a recent study by Parks Associates. The adoption of personal assistants is expected to continue with the addition of new features. If you think about it, the ultimate and perfect search engine would automatically provide the answer you’re looking for. Though the idea may seem to come straight out of a science fiction movie, this is what search engines crave. One can notice it with the increase of results in position “0” in Google. This 0 position is usually occupied by the Knowledge Box which attempts to provide an instant response in the search results. Moreover, search engines also tend to be more and more personalized and increasingly geolocalised, not to mention that they are becoming more intelligent. One has only to think of RankBrain, the recent IA added to the algorithm of Google. There are therefore several elements necessary to the establishment of a personal assistant in the search engines of today. It is therefore natural to see the arrival of products such as Google Home and Alexa. Indeed, the SEO will have to adapt to meet the reality of personal assistants that differs from traditional search engines. First, rather than providing millions of results, personal assistants will limit themselves to 3 or 4 results, or even just one, depending on the question asked. So how should we work with PASO? In this regard, we have already analyzed the impact of voice search on SEO and made recommendations on how to optimize your website for voice search. Will PASO replace the SEO? In the near future, the answer is “no, probably not. ” However, PASO will likely make its place in all SEO strategies if the trend towards voice search continues to grow. Any professional responsible for a company’s web presence should take this into account for the future and plan its optimization accordingly. This entry was posted in New Technologies, Search Engine Optimization and tagged PASO, Personal Assitant, Search engine optimisation, SEO, SEO mauritius, seo web mauritius, web mauritius on May 17, 2017 by admin. Instagram is the second largest social network after Facebook. However, its operation is quite different from this one. 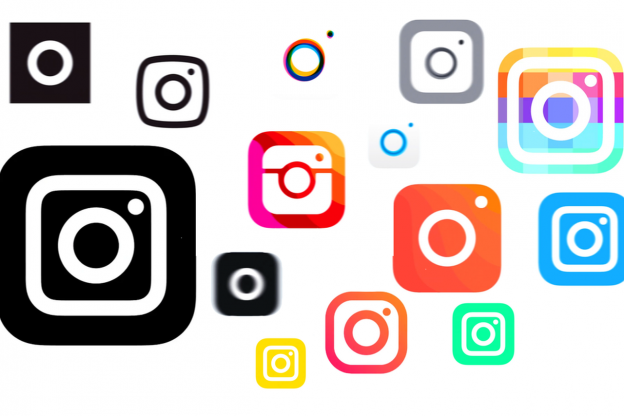 So here are some tips s to improve your audience on Instagram. The image is the very basis of the social network and it must therefore be worked accordingly. Images published on Instagram must be of good quality. However, they do not have to be taken with a high-end camera. The quality of photos taken by smart phones is currently largely enough to provide beautiful shots for the web. Have a common thread. Determine the theme and tone to use on your Instagram account. Think of lighting when you take pictures and enjoy the natural daylight. Use few filters or lower their intensity. Think of the composition of the image and the framing. Do several tests and test several angles to get the best result. Do not overload the image! Concentrate on a point of interest or contrast. Let it breathe by not trying to occupy all the space. Get a tripod to stabilize the photo taking. Practice a lot, publish little. Choose only the best photos. Instagram is the master of hashtag. In any other social network, you will be advised to use them sparingly. On Instagram, no risk! You can add them without moderation. They will allow you to increase commitment on your publications and improve your reach. The most popular hashtags at the moment are #cute, #beautiful, #tbt, #photooftheday, #instagood and #love. As you will have noticed, the world of hashtags is very influenced by English, even in Quebec. Do not hesitate to use hashtags in both French and English. Also, try composing hashtags yourself. It’s simple, join words together. Write your message and add the hashtags at the end of it. Choose some popular general hashtags, some hashtags specific to your products or your brand, some hashtags describing your image more accurately. If you need more ideas, we have listed the tools to find the right hashtags. The use of links is rather restricted on Instagram. The only place where you can indicate a clickable link is in your biography. The first option to get people to visit your site or content is to insert a link to it. It is possible to go further with this strategy. When you publish a new photo and you want to indicate a link, write that it is in your biography like this at the end of your description with hashtags: “Link in bio”. Obviously, you will have previously changed the link in the biography for the one you want to share. The other option is to indicate the link directly in the description, even if the link will not be clickable. For this strategy to work, the link must be short, because users will have to copy it manually. The incentive to action must be strong in this case for this technique to work. On social networks, a strategy with an influencer can reach many users and gain credibility with its subscribers. This entry was posted in New Technologies, Online marketing and tagged digital marketing, digital marketing mauritius, online marketing mauritius, online web marketing, social media marketing, social media marketing mauritius, social media mauritius, web marketing, web mauritius on April 30, 2017 by admin. 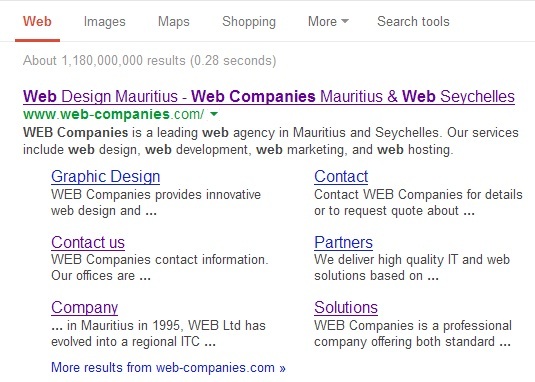 WEB Mauritius: Google Inc. became Alphabet! Monday, August 10, the Mountain View company announced a major change – and surprise – of its corporate structure. The search engine will become a subsidiary of a new entity, called Alphabet. The latter will be led by Larry Page, co-founder and current CEO of Google. Sergey Brin, the second founder, will serve as president. Eric Schmidt will be executive chairman, a position he already held at Google. The company is publicly traded, instead of the previous one. “Alphabet is a collection of companies”, Page says in a message posted on the official Google blog. “Google is the largest. But this new Google will be alleviated. Remote Internet companies of our main products are now grouped in Alphabet. “Concretely, this means a clear separation between the business heart of Google and all supplemental projects. This is Google X (futuristic projects), Calico (health), Sidewalk Labs (city logistics), Nest (connected objects) Fiber (fiber) and Google and Google Ventures Capital (investment). The new Google retain search engine, advertising activities, the YouTube video platform, the mobile operating system Android, the Maps mapping, Gmail and other Internet services and mobile applications. The subsidiary will also have a new CEO: Sundar Pichai, the rising star of the company. Head of Android and the Chrome Web browser, he was appointed last year vice president for products. For many observers, it had thus become the number two of the company. “I am very lucky to have such a talented person than him to lead the new Google”, says Mr. Page in his message. “This will allow me to free up time,” he continues. “He was already somewhat involved in the management of traditional activities of Google,” recalls Brian Wieser, Pivotal Research analyst. But Larry Page still want more concentrate on the vision and projects in the very long term business. “Technology should deal with difficult jobs to allow people to do things that make them truly happy,” he summed up in 2013. By creating Alphabet, it completes the transformation of Google beyond search online. It also reproduces the model of Berkshire Hathaway, the company led by US billionaire Warren Buffett that he considers as an example. The group of Mountain View “is no longer just a business but a conglomerate,” said Dawson in January, the firm Jackdaw Research. This should allow the respective companies to be independent of all others. Each entity is autonomous and under the responsibility of a Director General with enlarged powers. This entry was posted in New Technologies, Online marketing, Search Engine Optimization and tagged web, web design mauritius, web development, web mauritius, web news, web updates on August 18, 2015 by admin. WEB DESIGN: Edge the new browser from Microsoft! 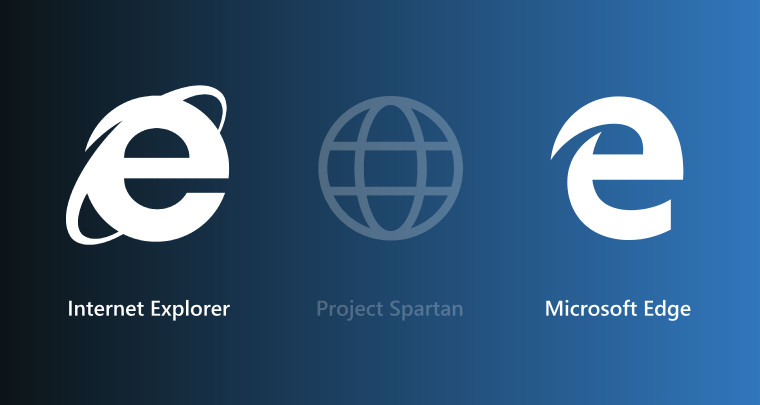 Edge is the new Microsoft browser (code name: Spartan). It will be released with Windows 10 whose launch is announced for July 29. The publisher has Edge as a new generation of browser, powerful, innovative, and especially designed for the modern web. It is already possible to test it in beta by downloading the Windows 10 desktop Preview, or Windows 10 beta Mobile (designed for smartphones and tablets). Edge will not replace Microsoft Internet Explorer completely, but will be offered as an alternative to it. It will be integrated with Windows 10 alongside IE that will remain present in the desktop version of the OS. The results of the Jet Stream test states that Microsoft Edge runs web applications 1.6 times faster than Internet Explorer 11. According Octane test, it would even be 2 times more efficient in this exercise as its predecessor. Both comparisons were made with a variation of browserst on an HP machine (equipped with Windows 10) with 12 GB of RAM and a next generation processor (Intel Core i7 860 CPU clocked at 2.80GHz). Microsoft has also integrated the browser Cortana. Limited for now to the beta of Microsoft Edge in the US version of Windows 10, the personal voice assistant allows particularly the pushing of content associated with current web page view. If it is the site of a company, Cortana may propose a route to the office of that company from your location, associated content, or trace a contact of this company you have saved in your phone book. Another major change compared to Internet Explorer was announced: Microsoft Edge will support the extensions. In April, the group hit hard by announcing that extensions designed for Firefox and Chrome can be worn under Edge with minor changes. And for web site developers? This entry was posted in New Technologies, Web design, Web development and tagged edge, edge browser, edge microsoft, windows 10 on July 22, 2015 by admin. Why Web companies is the best web agency of the Indian Ocean? An unseen confident look never before. Patrick Arnaldi talks about his 20 years at the head of Web companies, the best web agency of the whole Indian Ocean if not the only web agency. Quality Service- Only one keyword for him. To have resisted so long on the web market has not been an easy task. Patrick talks about his experience with fluidity and seems to master every side of the business with acute precision. His love for the job can be seen from his eyes. Web-companies is the only web agency in the Indian Ocean which seem to still resist. How did Web Companies evolve? As a true pioneer of web-based development in Mauritius in 1995, WEB Ltd has evolved into a regional ICT company. Now the recognized leader in web services, WEB Companies Group is a leading independent integrator of medium and large customer accounts in the Indian Ocean. WEB Companies can now emerge as a global supplier to leading companies through its structure of complementary services. The constant evolution of existing technologies and the emergence of new technologies make increasingly more complex information systems and require constant change. All services are designed to provide long-term business benefits to our through the use of the Internet. Web-companies is now represented in more than 3 countries including Mauritius, the Seychelles, Réunion Island and newly set up branch in Vietnam. What factors has played a crucial role in the development of web-companies as the most flourishing web agency of the Indian Ocean? It began its operation in Mauritius in the year 1997 and was the only web-agency to operate in the Island. Being the first counseling and internet agency of both Mauritius and its sister island- Reunion. Web-companies still holds the first position according to size and annual turnover of the whole region. The web agency has always evolved according to local and international trends. The web agency has its own server based in France and offers advanced web hosting services to its clients. The web hosting service is monitored by a team on a 24/7/365 basis. Web-companies has developed more than a thousand websites in less than 20 years averaging it to a website every week. Web ltd collaborates with CERT Europe and offers services through omnikles.com to the French government in Reunion Island. Web-companies is one of the few companies in France, Mauritius and Reunion Island to be offering dematerialization services. This entry was posted in New Technologies, Online marketing, Search Engine Optimization, Web design, Web development on November 6, 2014 by admin. Search Engine Optimization: How to? Basically, Search Engine Optimization or simply SEO is all about helping websites rank higher on the organic (or “natural) search results of search engines. The higher the site ranks, the more visitors and hence the more customers you will get! Search Engine optimization is the art of building a website in such a way so as to please both the customer and the search engine. We live in an internet era in which consumers can tune through the surfeit of information. As matter of fact, 92% internet users use search engines on which a stunning amount of 100 Billion web searches are being carried out every month and 78 % buyers use search engines before buying their products. Being visible on the internet will have no other effects than increasing your sales and hence your revenues. Having good content, information, architecture, content management system and website infrastructure are ways of generating traffic on your website. This is what exactly Search Engine Optimization is about. Search Engines have a prime objective which is to convey the most relevant of information for a search query. The most relevant the search results are to the user, the happier will he be. The happier the user will be, higher will be the probability the user come back to the same search engine again. In order for the search engine to deliver the right information at the right time, they need to have a proper means of gathering and prioritizing contents on a website. This process is called indexing. Search Engines have systems called algorithm that will enable them to spit out the proper website at user’s demand. Every search engines have their own algorithms. But elementally, four factors are considered. Search engines actually attempt to scan the entire online universe and index all the information so they can show it to you when you enter a search query. How will Search Engines rank your website? Search engine Optimizers will use a series of strategies. These strategies and the structure of the webpage will influence the way the site behaves in search engines. Below we will discuss about some of these tactics. In SEO context, keywords are particular terms/ labels or phrases that describe the content of a webpage. Keywords are of prime importance in search engine optimization since they will be describing the contents of your website. Choosing the right keywords is of prime importance. For example, a website about parachuting should contain keywords related only to parachuting. If only a small amount of words related to parachuting is mentioned on the website, the search engine will not display the website when websites relating to parachuting is being searched for. The most pertinent and consequently the most significant keywords on a website will be these keywords which will appear the most often across the website! To be able to stand out against competitors offering the same service, you imperatively need to understand exactly what the users are searching for and base your keywords upon these. Statistics show that about 48% of search engine users will click on a search result based on the Page Title as seen on the Search Engine Results Page. In simple terms, the Page Title is the first thing that the user will see on the Results Page. Based on the Page Title, the user will decide either to visit the page or not. It is highly recommended to include the brand name and specific keywords in the Page Title to make the webpage as relevant as possible. The Page Title should be distinct for each page of your website and characteristic of that particular page. Meta Descriptions define the content of the website as it appears on the Search Engine Results Page. Meta Description includes a short description of the website. It should be rich of keywords which best suits what the website is about. The more interesting the description, the more will the user want to click on the link to find out additional information. Meta Description has a big effect on the click rate of a website and hence must be given a serious thought. If the Meta Description is not enough specific and is not well written, then there is a huge chance that the website is ignored! Creating attractive and captivating content is one of the most weighing factors of a website. A website’s content should be descriptive about its activity. For example a website about football should contain content related to football and not to Cooking. If users find useful information on a website they might share that information via social media, blogs, email or other ways, increasing the popularity of the website. Content should be well organized, that is, avoid dumping large paragraphs people would not want to read or follow. Content should be easy to read and follow and as much as possible unique to captivate the users. It should also contain a good keyword density. Copy-Paste content will only make your website ranking go down or even be black-listed from search Engines. A website’s URL should be relevant and inherent. Good practice is to make sure that the URL contains keywords in them and not incomprehensible alphabets, numbers or punctuation marks. 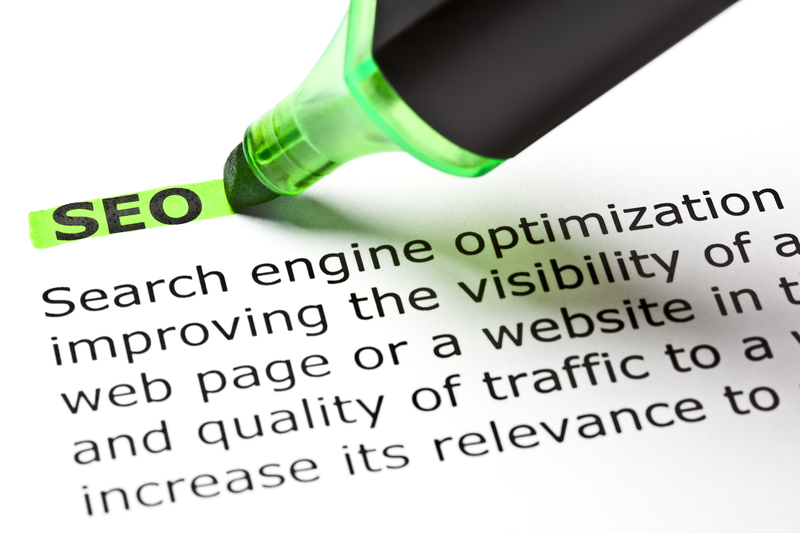 Doing so it will be easier for search engines to crawl the website leading to a better website ranking. Remember that URLs are displayed on the Search Engines Results page and that words in the URL will bolden if it was in the user’s query. Adding Alt text to your images will enable search engines to find your website in image searches. If your image has Alt Text corresponding to the image, it may be that the user will want to visit the website. The Alt text should be as descriptive and accurate as possible. Most websites are sectioned, they contain a home page, main and sub sections. This enables the users find their way easier. The overall layout of the website is known as the site architecture. A good site structure will direct the user more easily to the information he is looking for. Site architecture should be well sectioned and not contain too much sub sections. The greater the number the subsections, the least probability this content will appear on search results. Links can be exchanged with websites relating to the same services (commonly referred as Thematic link Exchange). Exchanging links may increase a website’s popularity as it tends to show that a website is serving as a reference for a particular content. 1. Try get links from authority websites from the same niche. 2. Review the link building strategies of your competitors employ and think about how you can devise better quality strategies. Don’t build links just to build links, or just to copy somebody else. 3. Join social networks, to get your content noticed by the people most likely to share your type of content and to build your personal network. 4. Get links from relevant sites, to build good domain authority. 5. Focus on quality link building techniques and strategies to avoid future unnatural links notices in Google Webmaster Tools which will be followed by penalties. 6. Don’t spam people with mails and do not share too much of your publicity on social medias. It can become harassing. 7. If you want others to link you, you got to link others too. 8. Don’t link too much in a short time lapse. Link baiting is placing the link of the website’s content you published on your page. If you do this for others and others do this for you, your website popularity will increase. Also known as internal linking, it is the practice of placing links to internal pages of a website. Cross-linking is also a major factor of Google Page Rank Algorithm. One SEO good practice is lking a keyword as anchor text to the internal content of a website. An XML sitemap will provide Search Engine crawlers a list of all the pages so as to discover new or updated content. The poor architecture of many webpage makes it difficult for crawlers to find pages. An XML sitemap is a good way for crawlers to do so. XML Sitemaps are very essential, and according to the site’s nature, specialized sitemaps for News, Image, Video and Mobile may really improve your indexation results. In simple terms, metadata is data about data. Some Search engines, like Google, don’t “read” your content (data). Information collected from the defined metadata fields will be used for indexing. To increase the probabilities of your content being located in response to a search query, add appropriate metadata, such as a search engine title, description, keywords, copyright and event dates. Use tagging (interest categories) to mark items intended for dynamic display. As a website grows in term of content, it is far too bulky and difficult to display all the results on the same page. Pagination is here to help. Pagination is dividing all these contents into different pages so that there is a better fluidity of use for the user. Good SEO practice demands that content is accessible with the least number of “clicks”. The fewer the number of “clicks”, the fewer the bounce rate, resulting in a higher page rank. The converse is also true. It is a text file that webmasters create to serve as a guide for search engines robots to crawl and index website pages. For example, if there exists a duplicate of a page one version of which is used for printing and the other version for reading, it may be possible that due to that duplicate, the search engine impose a penalty upon the website. The robots.txt file is a good practice since it will tell the search engine robot which files and folders to avoid on your website. Google authorship is the photo and byline which appear on search results pages. The match with Google+ profiles creates verified links between content on the web and the creators of the content. This gives Google the ability to establish quality, human-created content and distinguish it from non useful content. It results on better page ranking and less copy-paste content as authors claim their authorship. Multiple languages of the same content or website can be used to target a broader audience and generate more visits to the site. Mobile web browsing represents a huge potential. In fact, 46.0% of internet users use their mobile phones to search the web. A large number of websites are not suited for mobile phones. Link Building is a major factor taken in consideration by Search Engines Algorithm as mentioned above. Through link building, Search Engine will recognize if other pages on the web deem your website as a reference for content and information. Social Networking is one of the best means of link building. By creating attractive and original content, users will tend to share your content. The most your link is being shares, the most visible your link will be to search engines hence the greater the popularity. One of the best ways to directly reach journalists, consumers and influencers is through press release. Many of the world’s biggest news companies have press released fed into their system. Press release can be used to add links and hence drive traffic to a website and increase visibility in Search and social media. A micro site is a web page or a group of web pages that is separate from a main website but in some sense is used to point to the same webpage. Microsite contents tend to be more specific from the broadness of content of the main site. Hence Microsites help in the way that they help users reach information more quickly. They are mainly used to direct towards the main website. Many people will try troubleshooting their problems through forum discussions. This is because forums serve as a good reference for certain topics due to their specificity and the number of people interacting. If you provide good and exact information on forums, your website could serve as a reference for certain topics hence increasing your popularity. Writing a blog for your company is a way to publish unique content. Blog content should be unique and attractive, so that users may want to share. Blogs can also be promoted by posting or commenting in service-related blogs. By doing so, links can be share. As explained above, the more links you share, the more your visibility! Articles can be created and submitted to article directories (like ehow, hubpages, and examiner). Anchor text and links can be added to make them point towards a website. Publish interesting photos so people can share, comment on them. This can drive a lot of traffic towards a websites. Photo sharing websites like Flickr, Picasa, Photo Bucket, Picli, or instagram can be used. Linked with photo sharing, video promotions, experts opinion and product reviews can be made public on sites like Youtube. Google, the world’s most famous Search Engine provider recently announced that going HTTPS (i.e. adding a SSL 2048-bit key certificate on your site) will give it a minor ranking boost. For now Google announced that it has less than 1% impact than all other algorithms but that they may strengthen it to encourage websites from shifting from HTTP to HTTPS. All this is in a vision to make the web safer. Tracking down results is of prime importance. The more traffic you drive to your website, the more is your customer potential. To do the thing well, you must have the right metrics in place, have constant monitoring, and make accurate adjustments to raise the numbers. First of all, a baseline should be established in order to improve your SEO. You should first know where you are in order to know where you are heading to! There are many free or paid tools which will enable you to do so. What do you need to track down? In order to know how well your website is doing for desired search terms. This will enable you to know your ranking position on the Search Engine’s Results Page. The numbers of visitors who visit your site clicking on a link found directly on the Search Engine’s Results Page. Track down what percentage of the website traffic comes from organic search every day, week, and month. The percentage of visitors who turned up on your site through organic search and completed a desired conversion action such as becoming a customer or signing up. The entire list of search phrases that visitors type in to find your site, and how much organic traffic those terms bring. Special attention should be given to those keywords which are non-branded (i.e. 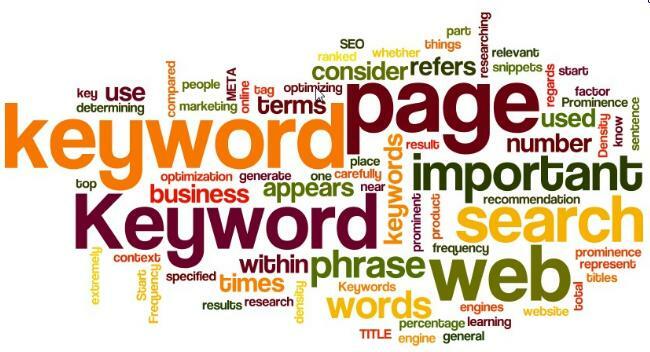 those keywords which do not include company name, products or services) and which bring traffic to your website. The number of links from other websites which redirect to your site. This may be an indicator of how popular your website is. If other websites use yours’ as a reference, your popularity will grow affecting your rank in Search Engine Result Pages (SERP). All these information tracked down will give you an approximate idea about how well your website is running. From these, conclusive actions can be taken. With all these information and tips given, it is time for you to do some SEO for your website. Remember, you should always keep in mind there is no perfect SEO strategy but you should adapt your strategies according to the trends and results. This entry was posted in New Technologies, Online marketing, Web design, Web development and tagged Content Strategy, Inbound links, internet marketing mauritius, keywords SEO, LInk Building, Offsite SEO, online marketing, online marketing mauritius, Onsite SEO, Organic Search Traffic, Search Engine Optimization: How to, Search Engine Optimization. SEO strategies, SEO, SEO mauritius, SEO: How to, social media mauritius, web agency, web companies, web company, web design, web development, website, website content, website creation on August 14, 2014 by admin. Google Glass: What you need to know. Google glass is a wearable technology with an optical head-mounted display (OHMD). That revolutionary smart eyewear looks like its buzzing many people around until they experience the awfully nice sensation of wearing it. It displays information just like conventional Smartphone does but in a hands-free holographic format via a small prism found on the frame. Unlike casual Smartphone information is input through voice commands instead of the traditional input methods (Touch screen or keys). How does Google Glass work? Google Glass interface uses voice commands as well as an integrated button which facilitates the execution of certain commands. The message “Ok glass” is the most common one you see, it activates as you tilt your head up or tap the side. The device runs on Android 4.4.2, has an OMAP 4430 SoC, dual-core CPU with 1GB of RAM and a total storage capacity of 16GB out of which only 12GB are usable. Google glass also comes fitted with an accelerometer, a gyroscope, a magnetometer, an ambient light sensor, and a proximity sensor. 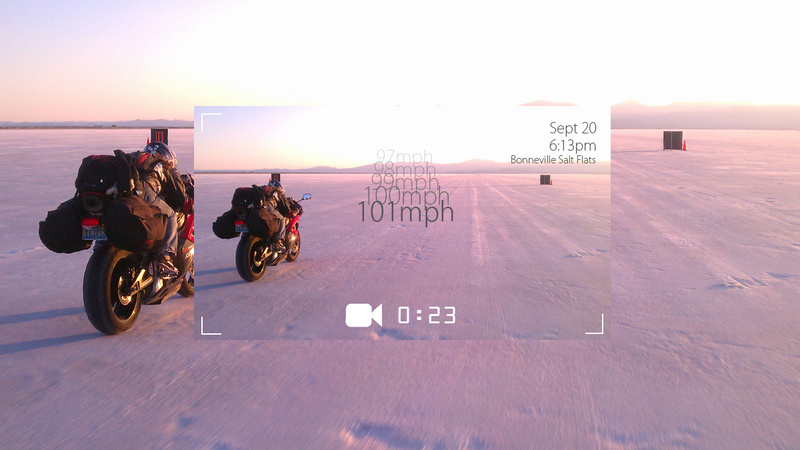 Google offers a companion Android and iOS app called MyGlass, which allows the user to configure and manage the device. What does Google Glass look like? Google Glass has got an amazing design andconsists mainly of a 50g titanium frame stem which house all the computing components. Due to its light weight, the device sits comfortably on your face like a regular pair of glasses. There are no actual lenses except for a little prism on the side. The frame is actually unfoldable and the right side of it is house for the battery and electronics: buttons, touch pad and speaker. Google glass is a very much style-oriented device and it should be as a wearable tech, and it is one of the main reasons Google has had a particular attention in the colors, the frame build. Google is now also on the move trying to implement the device to normal glass frames, sunglasses and other head gears. Typically, Smartphone components are present in Google Glass as it runs on Android but for the time being can only run about 50 apps officially which include Shazam and livestream. To give glass its full functionality it needs to be connected to an android or iOS Smartphone either via Bluetooth or Wi-Fi. It can work alone too like a disconnected offline camera. 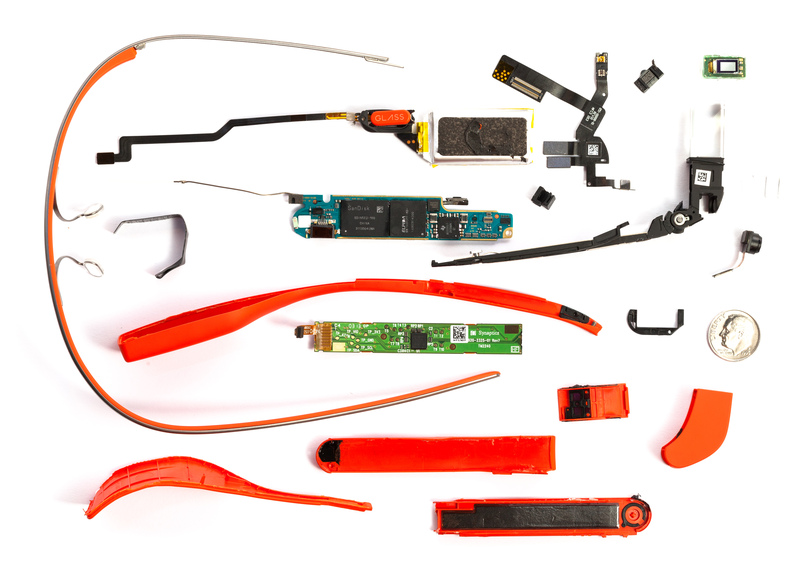 For now, Google Glass can only perform 7 operations on its own. 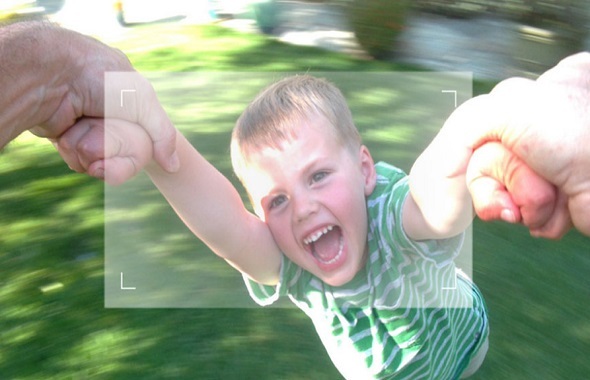 Google Glass camera shoots 5-megapixel, each picture has a 2528 x 1856 resolution comparable to that of an iphone 4. The first one is using the voice command which is “Okay Glass, take a picture” will take a picture on the spot. More interestingly, Google experimental eye blinking will also do the job. Finally pressing the camera button found at the top of the hardware. All three methods will allow bringing the viewfinder and bringing up four L-shaped corners enabling you to take the perfect shot. 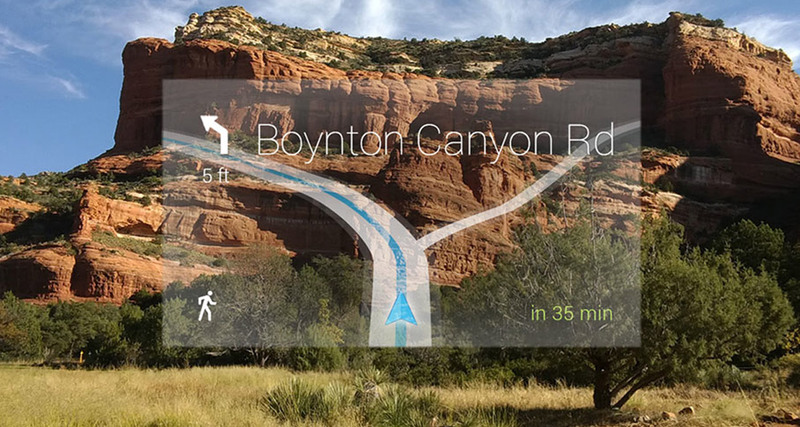 Combined with its 720p quality and 5MP camera, Google Glass provides a first person shooting experience which is quite unique and is one of the most interesting features of glass. On the other hand it may appear to be invasive as it is always pointing towards people. It may be an obstacle to privacy and even before its launch; Google Glass has already been banned in some public places. In order to receive phone calls, Google Glass needs to be connected to a Smartphone as it does not yet contain any sim card slot. Users will be able to answer their call either by voice command or by simply pressing the button. Google Glass will show you text messages as well as emails you receive and allow you to reply to them via voice commands. Another interesting feature of glass is that it has Google maps integrated. So users will now be able to get directions or their journey via voice commands. 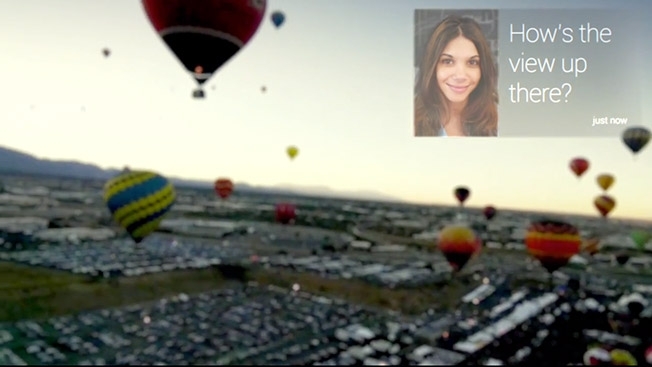 Google Glass can also engage in FaceTime-like on Google Hangouts but exclusively via Wi-Fi. Browsing the web has been made easier with voice command and the interesting part about google glass is that it integrates all googling experience. What does it looks like when wearing it? It is hard to accurately describe Google Glass wearing experience but basically, looking through glass will reveal a 25 inch display eight feet away. Testers have come to the final conclusion that the floating screen does not reveal to be obtrusive or distractive at all. Even when the screen is “on” and with the semi- transparent screen you can still see what you are looking at. Since the glass prism is positioned over the right eye only, the binocular effect your brain uses to form a clear picture is not present and conclusively the screen appears to be more of a ghost screen. Testers recommended taking break to prevent any damage. What does Google Glass cost? Google glass was made available to Google I/O developers on April 2013 for 1500$. As google glass is still being on beta testing, American citizens over the age of 18 are able to join the open beta for Glass. Google glass can also be fitted into prescription glasses provided by Google for $225 but are free with the purchase of a new glass unit. For the time being, only four choices of frame are possible. Where to get Google Glass? Google glass is still to be announced to the general public, and for now is only available on the UK and US markets. 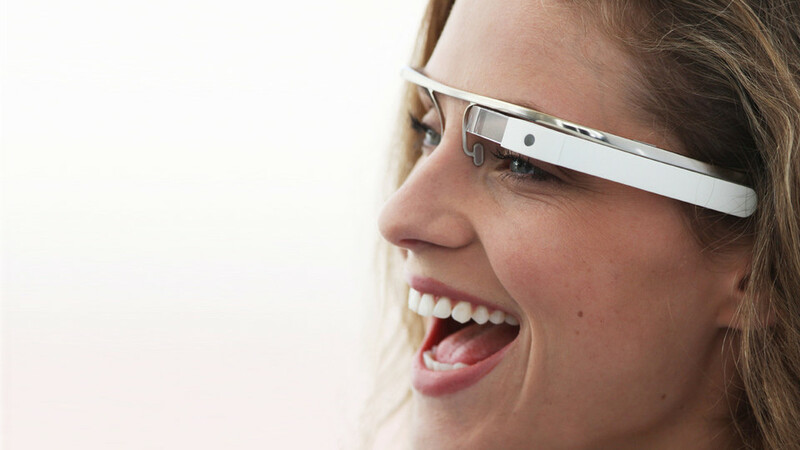 Google is glass is undoubtedly a giant’s leap into the world of wearable communication devices. This new form factor will lead others in the improvement of these types of device. For now, all this condensed up technology gives only one envy- Give it a try! This entry was posted in New Technologies, Online marketing, Web design, Web development and tagged Google Glass Price, GoogleGlass, How does Google Glass work?, What does Google Glass cost? What does it looks like when wearing it?, What does Google Glass Do?, What does Google Glass look like?, Where to get Google Glass? on August 8, 2014 by admin.